You are at:Home»Ulster»Ulster Women»Women: Macartney hopes to shine for Ulster U18 Women. Larne RFC Women’s U18 player Toni Macartney is hoping to shine for Ulster U18 Women in the upcoming interprovincial series. 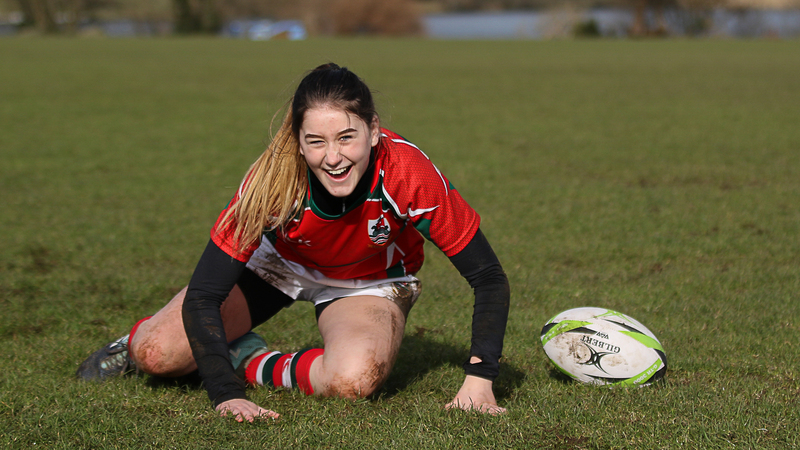 The Downshire school pupil featured strongly in recent trial games against Ontario U18 Women and has been called up into the Ulster U18 Women’s squad for the upcoming Interprovincial Series which kicks off this weekend. Having only recently turned sixteen, Macartney is one of the youngest players in the squad. A natural athlete, who was also called into the Northern Ireland U17 Netball squad this year, Macartney certainly made her mark in rugby with a try scoring debut for Ulster U18 Select in the series against Ontario and she has received her reward for her hard work with a call up into the Ulster U18 side for thier opening Interprovincial fixture away to Connacht on Sunday 2nd September at Ballinasloe RFC. Kick off 2:00 pm. The full Ulster U18 Women’s squad for that match is shown below. Macartney has been playing rugby at Larne for two season’s and, under the coaching of Ulster Women’s player Teah Maguire, she has risen quickly through the ranks and has already been training with the Ireland Women’s 7s U18 development squad. Previous ArticleWomen: Teams up for Leinster v Ulster. Next Article TeamFRU out in force this weekend.